At Pat’s Schoolhouse, we believe in our children’s potential. With them, we embark on a journey of possibilities, making every day meaningful, and full of adventures coloured by imagination. Our Official Festival video is out NOW. Relive some of our favourite moments from our Music Festival! Central to Pat’s philosophy is the importance of play-based learning. Find out how we do it differently, in the Pat’s way. Courageous and confident to challenge the status quo. Full of life and cheer, to positively impact others. Inspired with ideas and influences to challenge the future. We’re educators, born to make a difference. Every child deserves an adult who will never give up on them, who understands the power of connection, and insists that they become the best that they can possibly be. 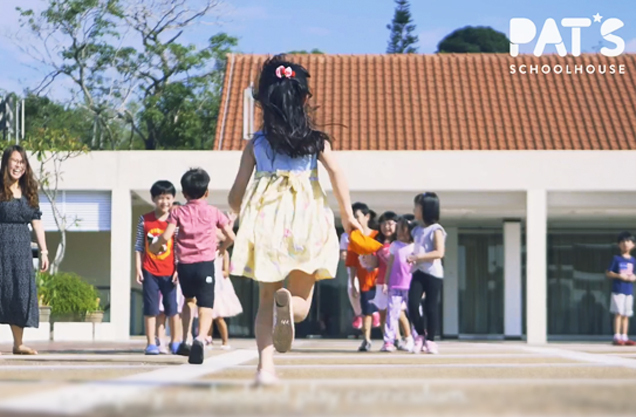 Through play, our children learn soft skills, cultivate positive character values and grow a passion for learning. These form the foundations, that help children learn and understand from preschool and beyond. Find a Pat’s Schoolhouse near you and take a virtual tour. Simply fill in the form to let us know more and we’ll contact you to arrange for a visit. 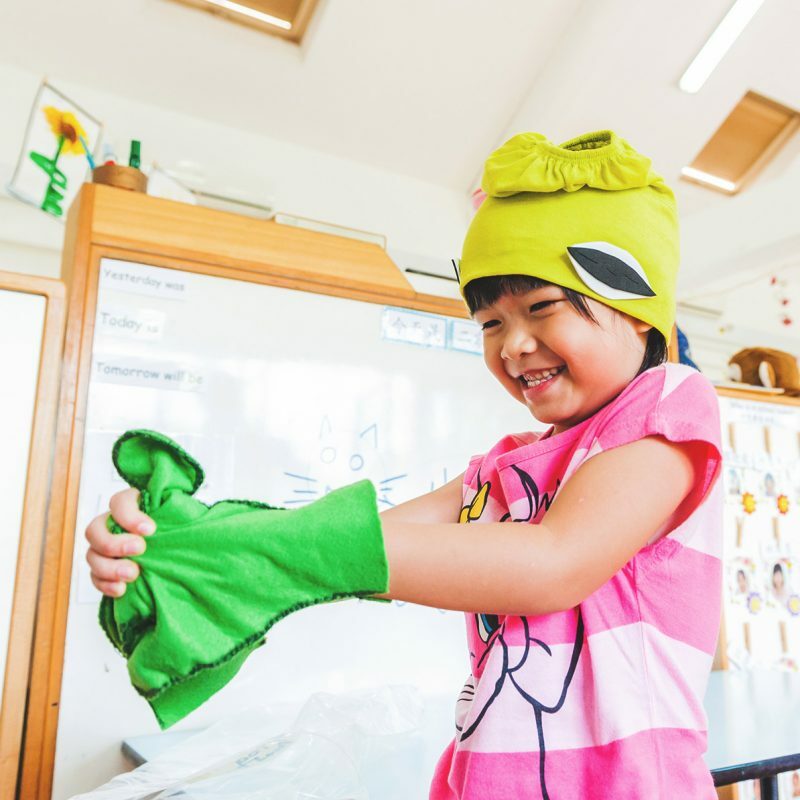 At Pat’s Schoolhouse, the teaching approach for each growth stage are designed to work holistically with the child’s own abilities at that point of their development. But always, the emphasis is on an immersive experience that uses play to teach, and to realise each child’s fullest potential. Download activity kits curated by our Pat’s team. Get a feel of the Pat’s Schoolhouse difference by downloading these complimentary activity kits that you can do together with your child. 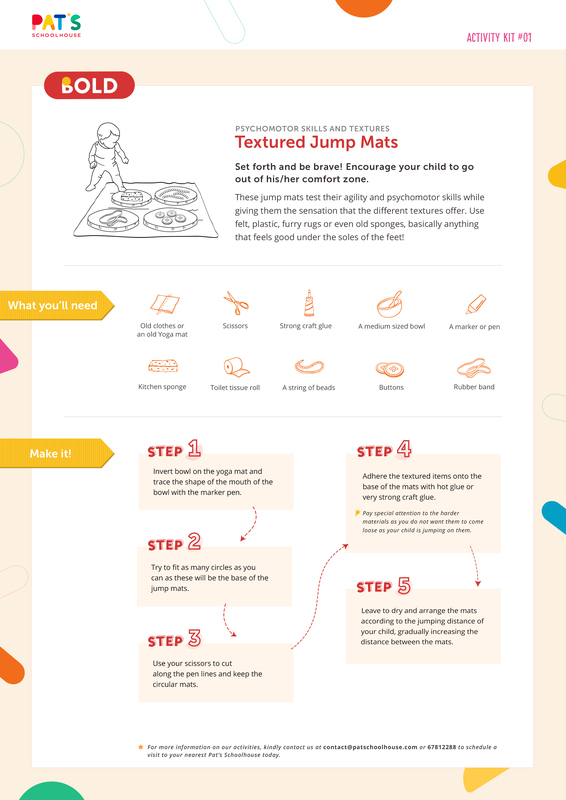 Have a blast making this textured jump mat with your little one. 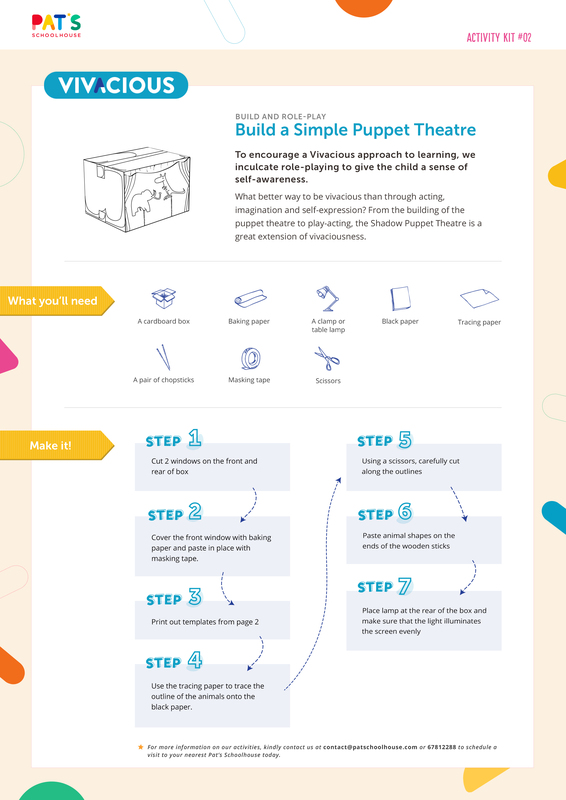 Engage through role-play and imagination with this puppet theatre. 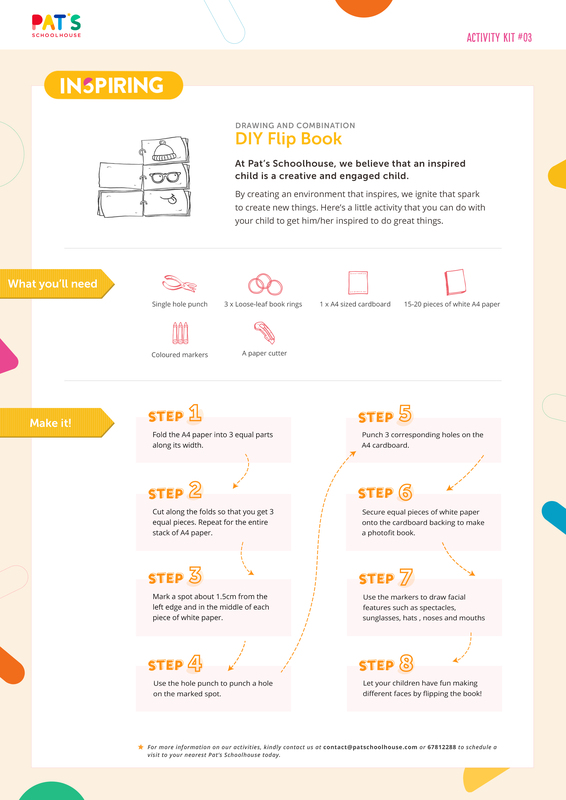 Inspire your child’s creativity with this D.I.Y flip book.